Today could be a day like any other, yet for me it’s on this day, three years ago, that my mother passed away. Leaving the world at much too young of an age, I’ve often wondered what she would have thought about my blog. See, it was her passion for cooking and baking that was contagious as a young boy. From cookies and cake to dips and gravy, sharing the weekend kitchen duties with my mother was something I could never turn down. My mother was a nurse. One you would like to have in your room. Her passion for laughter, and her crazy sock collection made it almost a joy to be in the hospital. 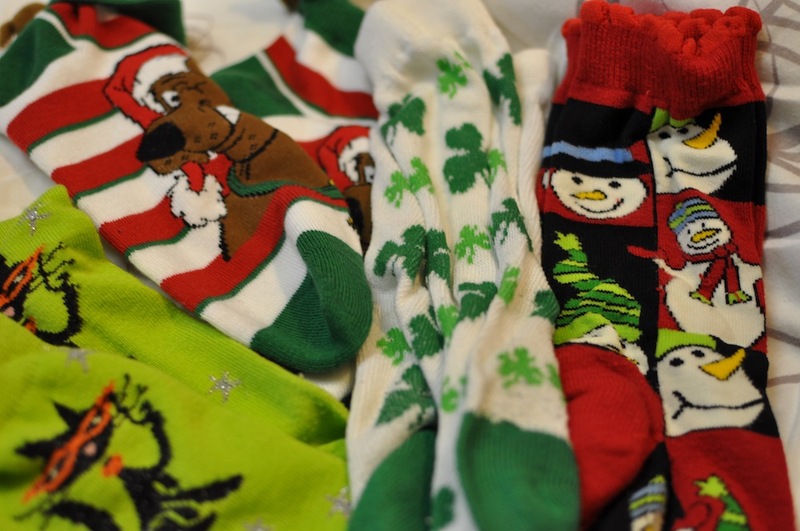 Not just any pair of socks, but fun, seasonal and holiday socks. When this started I couldn’t say, but the patients always got a kick out them. From Halloween socks to Valentines Day. St. Patrick’s Day to Easter, pink socks and striped. Some of them looked like animals, and yet others like Christmas trees. Most of the socks found new homes, but I’ve slowly put together my favourites. Thank you Mom. For everything. Chris, I’m sorry for your loss. It sounds like your mother spent her time on earth well and touched a lot of people along the way. And you are doing a beautiful job of honoring her memory.